Granite spires drew me to the Brooks Range, but finding the nest of a Long-tailed duck (Clangula hyemalis) on the banks of a remote lake in a stunning mountain valley was one of the highlights of a 3 week expedition to the most northern mountains in North America. Like most ducks, Long-tailed ducks construct their nest in a shallow depression on the ground that they line with their own down feathers. The coloration of these feathers is an important part of identifying the nest when the duck is gone. In this case it also helped that the only duck I saw on the entire trip was a pair of long-tails with a single juvenile following them around on the adjacent lake to the nest! Unfortunately it appeared that the remaining egg in the nest had failed to hatch. Summers are very short in the arctic tundra and already by the end of July when we discovered the nest, fall was just around the corner in this remote part of Alaska. By the second week of August there was snow dusting the high peaks and the race was on for that young bird to amass the energy to begin a fall migration. Mountaineer Forest McBrian points to the Long-tailed duck nest we discovered on the banks of an alpine tundra lake in the Brooks Range of Alaska. Like most ducks, Long-tailed ducks build their nests on the ground and line them with their own down feathers. 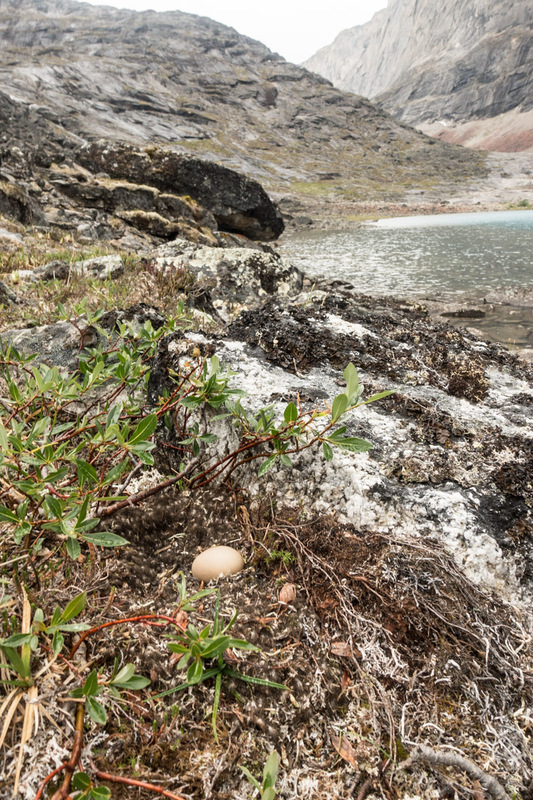 A single failed egg remained in the Long-tailed duck nest. We observed the pair and a single juvenile in the nearby lake. Like their unreasonably large and beautiful song, the Pacific wren (Troglodytes pacificus) has a surprisingly elaborate nest. Abundant in forested landscapes around much of the Pacific Northwest, the Pacific wren typically constructs its nest out of mosses and builds it into an existing structure such as a rootwad of a fallen tree or the hanging moss on the underside of a tree branch or leaning trunk. Nests are spherical with a small entrance on the side giving access to an enclosed chamber where eggs are laid. Occasionally nest are constructed in tree branches and appear as a spherical glob of moss. 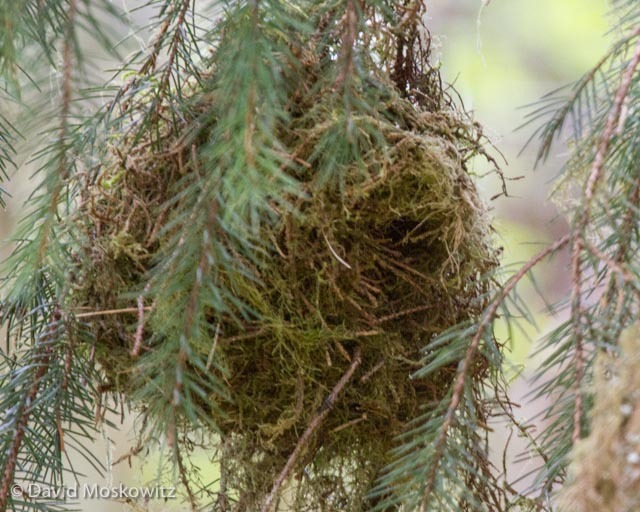 My bird nest mentor, Emily Gibson, who first introduced me to Pacific wren nests, noted that the entrance to their nests, in western Washington at least, typically are lined with tiny conifer twigs. A Pacific wren peers out from the entrance at the side of its nest. Olympic National Park. Note the slender conifer twigs around the entrance to the nest. A Pacific wren with insects in its bill bound for young ones in a nearby nest. West slope Cascades, King County, Washington. Two bushtits at the entrance to their nest in the Snoqualmie Valley in western Washington. Bushtits (Psaltriparus minimus), a similar sized bird found in much of the Pacific Northwest as well, also build enclosed nests out of mosses and lichens. Bushtit nests are more pendulous with an entrance towards the top of the nest. Check out more photos of interesting tracks and signs of wildlife! During several trips this winter to the shores of the Puget Sound where the Stillaguamish and Skagit rivers drain into the sea, I encountered two species of predatory birds sharing some remarkably similar hunting habits. The Short-eared owl (Asio flammeus)) and Northern harrier (Circus cyaneus) are both medium sized raptors. Of the two, the short-eared owl stands out as a bit of an oddity--being diurnal in its habits, unusual for owls, the rest of which are night hunters. The graceful and quavering flight patterns of both species are mesmerizing to watch. Female Northern Harrier in flight. Puget Sound, Washington. Northern harriers fly low over grasslands and wetlands attempting to locate and surprise voles and other small mammals at close range. Sharing the same fields and tidal marshes, Short-eared owls can also be found out during the day hunting small mammals and occasionally song birds. Short-eared owl in flight. Puget Sound, Washington. 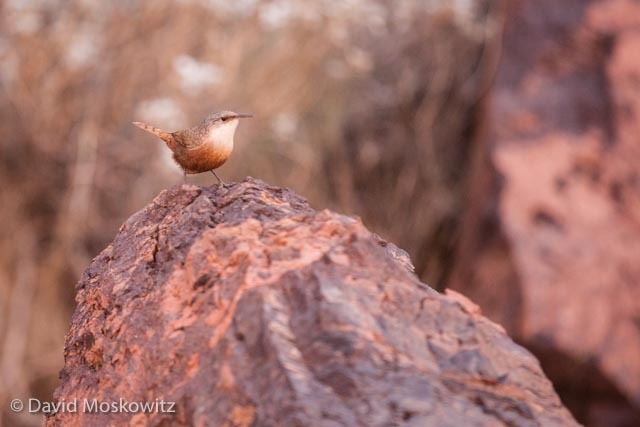 See more photos of these two species in my photography galleries. During the winter thousands of snow geese flock to the Puget Sound where they feed in farm fields and tidal wetlands. Wintering bald eagles flying overhead bring massive groups of geese into the air. Click here to see a gallery of images from a recent trip of mine.